Note: Nothing in this section, nor on this website is meant to take the place of legal advice from an attorney or other expert in firearms law. Sidearm Defense Training, LLC does not provide legal advice. Q. What is the difference between a CCW and a CPL? A. The terms CCW and CPL are often used interchangeably. However the proper term is CPL, Concealed Pistol License, as Michigan law allows the carrying of a Concealed Pistol with the proper licensing. Michigan’s CPL law does not apply to other types of devices such as: knives, clubs, mace, etc. Effective August 6, 2012, a Michigan CPL does allow a licensee to carry a electro-muscular disruption device (commonly referred to as a Taser). Additional training is required. Contact a (Taser) dealer for more details. Q. Where can I find the information on how to get my Concealed Pistol License (CPL)? A. 1) Take an approved safety course (Sidearm Defense Training, LLC’s course meets/exceeds the requirements). 2) Go to your County Clerk’s office and provide to them: your Course completion certificate, completed application (follow directions completely), $100 application fee. Have ID available. 3) Show the receipt from the County Clerk’s office to the Police Department (or other agency) to be fingerprinted. 4) Wait until your application is approved/denied. *This is a very simplified overview, for complete details please visit the Michigan State Police website at http://michigan.gov/msp. Q. Who can take the safety course? can take an approved course. However, an applicant must be at least 21 years old to apply for a CPL. Q. I'm a woman who has very little experience shooting. Would your class be okay for me? A. ABSOLUTELY! We love to work with shooters of ALL experience levels, no matter if they are male or female. In fact, approx 40-45% of our students are ladies. There is NO reason that anyone should be excluded from learning the safe and proper way to handle firearms, and we feel that everyone has the right to lawful self-defense. And here is a little-known tidbit that we have found out over the years; the ladies (almost always) shoot better than the guys! So ladies, if you are interested, give us a call. We would be happy to have you join us. Check out our schedule for our "Ladies Only" classes. Q. I’ve had some legal trouble in the past; can I still get a CPL? A. Visit the Michigan State Police website at http://michigan.gov/msp to check your qualifications. We recommend that you also speak with an attorney, familiar with firearm law, to get answers to any legal questions you may have. Q. Is my Michigan CPL good in other states? A.There are many states in which your Michigan CPL is valid. We highly recommend that you contact any state you plan to visit to verify the validity of your CPL, prior to traveling. You will be required to adhere to the laws of that state while you are there. Visit the Michigan Attorney General's website at http://www.michigan.gov/ag/0,4534,7-164-58056_22672-60639--,00.html for the latest on reciprocity. You can also check the website http://www.handgunlaw.us/ for useful information pertaining to firearm laws in the 50 states. Q. What are Phase I and Phase II of the Basic Pistol Blended Format course? A. 1) Phase 1 is an online component that must be completed prior to coming to an instructor for Phase 2. 2) Breaking Basic Pistol up into Phase I and Phase II is something new from the NRA (2016). 3) Their research has shown that the online portion is a good supplement to the Instructor led portion. 4) Phase I does take a few hours to complete. So please manage your time accordingly. 5) Phase I includes interactive video presentations that are designed to keep you engaged, as you are becoming familiar with the course content. Q. Do I have to complete Phase I all at one time? Note: Please contact us PRIOR to beginning Phase 1. Q. I’ve seen 1-day safety courses advertised, do they cover the same information that Sidearm Defense Training, LLC's classes do? A. We can only confirm our course content. We suggest that you contact any other instructors to compare classes. Are BOTH Basic Pistol and Personal Protection in the Home covered? Are training materials received for both Basic Pistol and Personal Protection in the Home? Are Certificates of Completion received for both Basic Pistol and Personal Protection in the Home? Are all the State requirements being met (or exceeded)? Are they providing a thorough training experience, or just getting by with the minimum? After comparing, we think you will find that we give you the most for your money. Q. I’ve got my CPL, do I need more training? Where can I get more firearm training? A. We feel that you can never know everything that there is to know. We HIGHLY recommend that you continue to keep learning anything that you can pertaining to responsible firearm use. 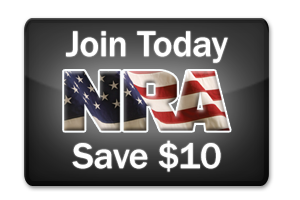 You can visit the National Rifle Association website at www.nra.org for more training opportunities. Your next step can be to take the Personal Protection OUTSIDE the Home class. This is the next step in the NRA's pistol training, and will serve you well. And don't forget to stay up to date with firearm laws. Still have questions? Please feel free to contact us. We are happy to help whenever we can.